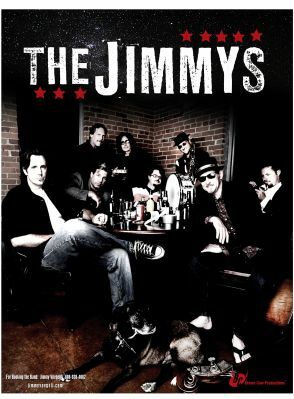 The Jimmys, The Jimmys, The Jimmys are in a town near you!! OUR NEW CD IS DONE AND AVAILABLE!! www.thejimmys.net Buy it now! Come see a show! !- Broadjam Founder, Roy Elkins says,"I feel sorry for any band that has to follow this act, they rock!" Please leave your email address on the "contacts" page to join The Jimmys fan club newsletter. Spread the word and help keep blues alive!! !